The report includes the full transcript of the influential Windsor Declaration that made important recommendations in the fields of professional education, arts therapies and creative environments and the place of the arts in community development and health. It also points the way forward for the further development of the role of the arts and humanities in health care. Philipp, R., Baum, M., Macnaughton, J., & Caiman, K. (2002). 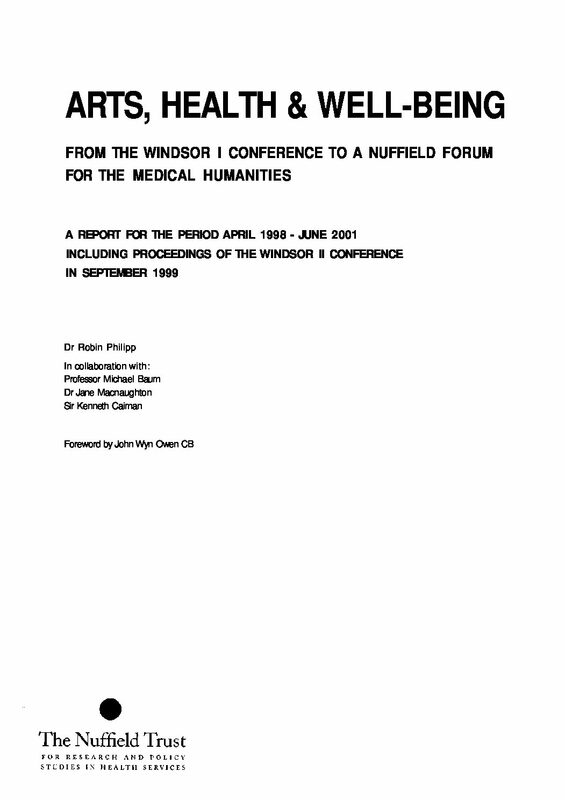 Arts, health and wellbeing: From the Windsor I conference to a Nuffield forum for the medical humanities. London: The Nuffield Trust.